Before giving birth, I had dreams that I had no bones in my body; I had dreams that my child was boneless. I dreamt of stacking warm babies into piles, racing to get the balance just right before I lost total daylight. I dreamt of earthquakes, which is, incidentally, exactly what birth is like: the material world momentarily shudders and opens wide to unknown and possibly devastating effect. Writing about birth is impossible because it has been determined too sentimental by a culture that undervalues female experience, and also because it is impossible to transmute a feeling so large into art. What if I tried to find a new vocabulary for it? What if I piled up mothers, unseen, under moonlight? What if I removed all of the bones from the picture? How can I put it: tenderness and resentment took turns eclipsing one another to near totality. Time passed vertically rather than horizontally, no longer broken up between day and night, but minutes and eternities. The body -- my body! -- once intact, came undone and labored its pieces back together in a new configuration. I am two months away from giving birth for the second time in three years, and I trust that pictures will both guide and fail me. The series takes its name from Grapevine Branch, West Virginia, a small community where Lipper took up intermittent residency for four years. 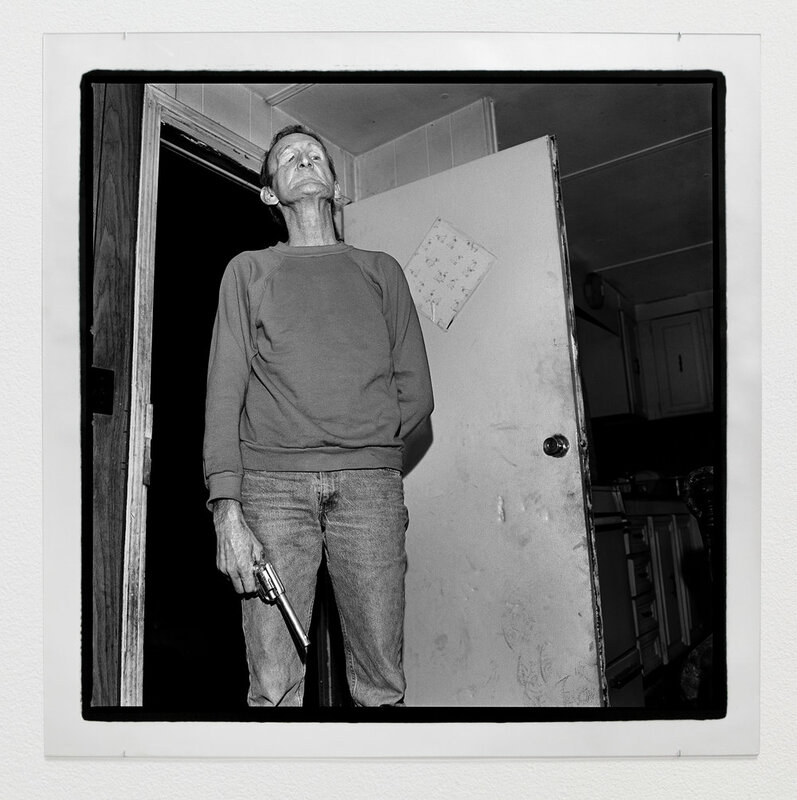 In time she became an inside member of this closed community and developed intimate relationships with the residents, whom she interviewed and photographed with a medium-format camera. Although Lipper’s images seem to be constructed within the established vocabulary of documentary photography, she broke from this tradition by granting her sitters the theatrical license to perform as actors—as versions of themselves that may or may not have been true. After developing her prints, Lipper reviewed them with her sitters so they could refine or alter their poses. The resulting collaborative process paradoxically fulfills a traditional documentary function by throwing the gender and class roles enacted in small-town America into greater relief and asking viewers to recall the images of rural American communities we hold in our collective visual memory. In Lipper’s photographs, each role, whether inhabited or performed, reveals itself to be artifice or fantasy as much as a means of personal expression. In this way, Grapevine enacts a double manifestation of self, picturing both Lipper’s own psychic imagination—her creation and exploration of a fictional eden removed from the reach of empty consumerism—and her subjects’ keen self-awareness of in their posturing. "I am a woman and I feast on memory." 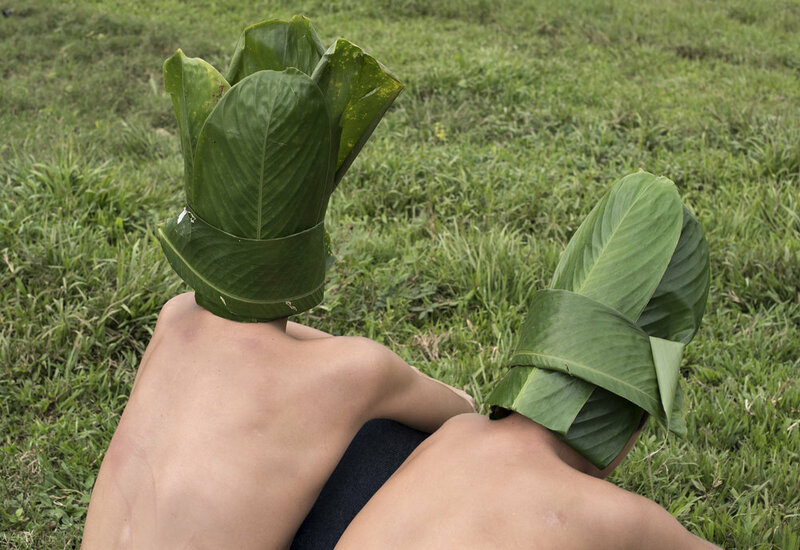 Ilona Szwarc is dissecting the process of becoming: how an individual assimilates and makes oneself imperceptible in society while engaging a series of internal and external transformations. Each part of the triptych, consisting of 23 sequential portraits, takes the form of stage makeup tutorials. 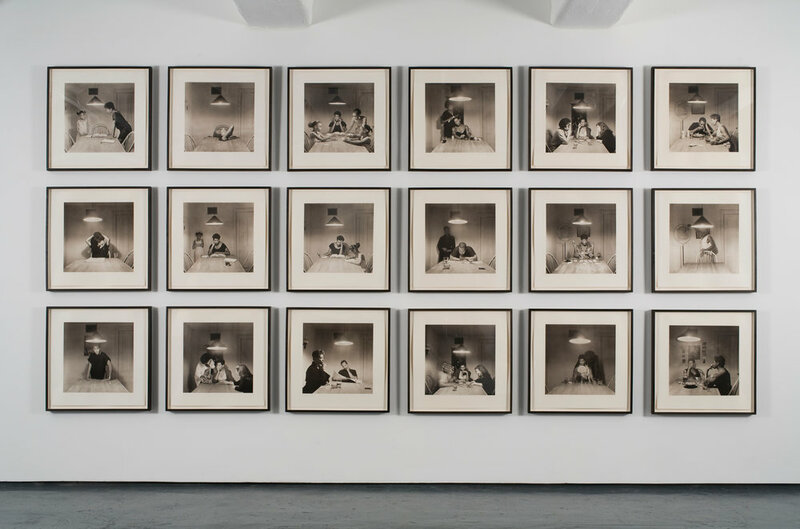 By employing look-alikes, women who share her general appearance, the artist is placing herself at once as the subject and the object in the photographs. In this step-by-step process she is manipulating her own image through a proxy: her American doppelganger. These carefully staged photographs confuse the relationship between a portrait or a self-portrait. Szwarc is directing a compelling narrative, in which through cinematic closeups of her painting and drawing on the model’s face, she first creates an uncanny portrait of an aged woman, then through abstract and colorful mark-making she transforms her into a large woman. The series culminates with an androgynous, grotesque, saintly mask, a contemporary Vera Icon of her doppelganger. 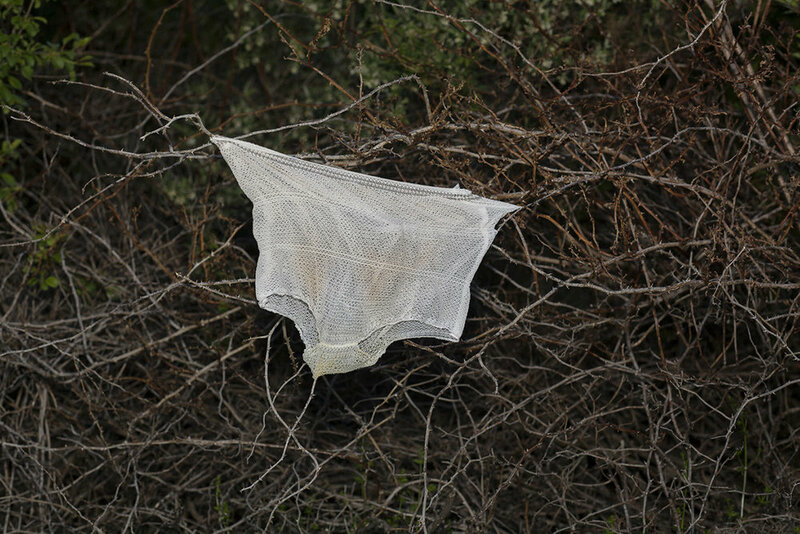 Ilona Szwarc (American and Polish) is a photographer based in Los Angeles, California. Szwarc received an MFA in Photography from Yale University in New Haven, Conn., and a BFA from School of Visual Arts in New York City. 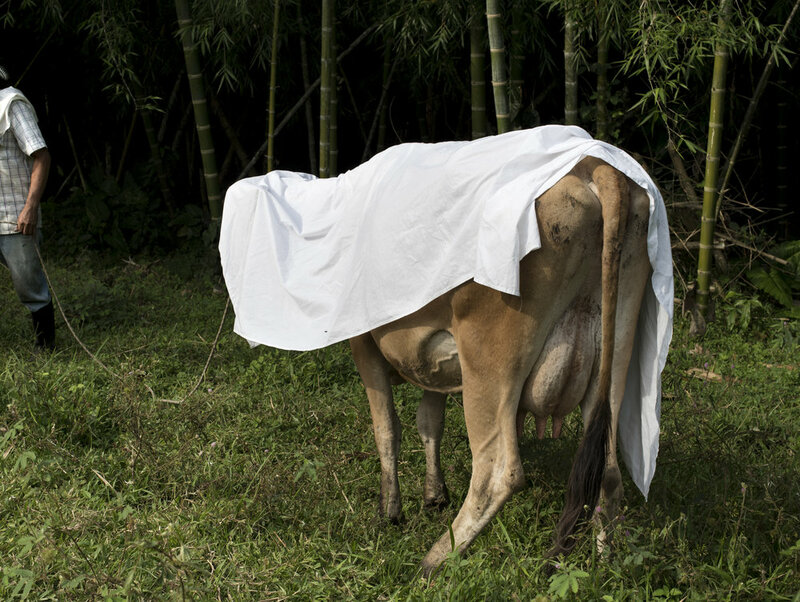 She has had solo exhibitions at Foley Gallery in New York City, Claude Samuel in Paris, France, Amerika Haus in Munich, Germany, Leica Gallery in Warsaw, Poland and Maison de la Photographie in Lille, France. Her work has been shown in group shows internationally and most recently at Regen Projects in Los Angeles, Danziger Gallery in New York and at the International Festival for Photography and Fashion in Hyeres, France. This body of work was inspired in part by the influential essay “Visual Pleasure and Narrative Cinema” (1975) by the critic Laura Mulvey, which addressed the lack of nonobjectified representations of women in film and other cultural expressions. Like Family Pictures and Stories, the series offers a valid portrait of an often overlooked subject, in this case, a modern black woman, “the other of the other.” The images trace a period in the woman’s life as she experiences the blossoming, then loss, of love, the responsibilities of motherhood, and the desire to be an engaged and contributing member of her community. The protagonist is Weems herself – a practice that will continue throughout the next decades of her career. The role of words has become more prominent with fourteen stand-alone text panels that relay the at times rocky narrative. 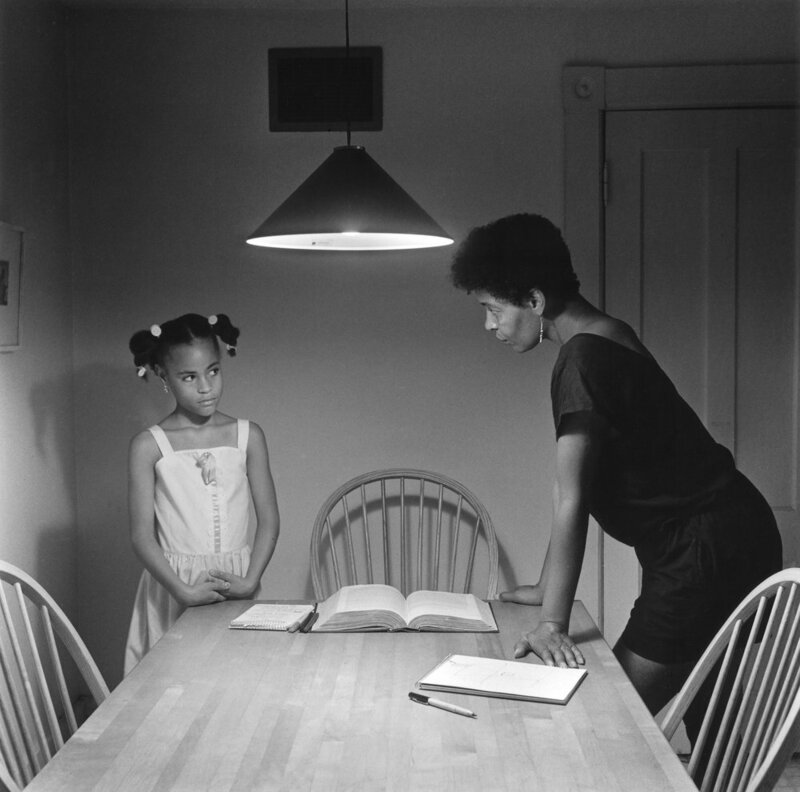 Near the end, the woman stands alone, strong and self-reliant, looking directly at the viewer, her arms squarely planted on her kitchen table, where the entire story has unfolded under a light of interrogation. 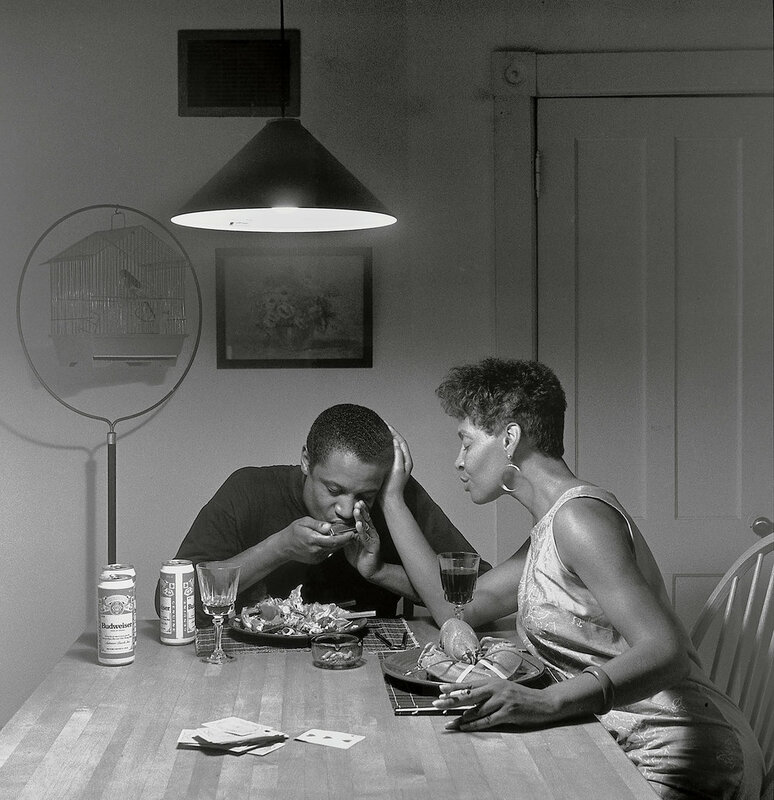 Although Kitchen Table Series depicts a black subject and is loosely related to her own experiences, Weems strives for it to reflect the experiences of Everywoman and to resonate across racial and class boundaries. 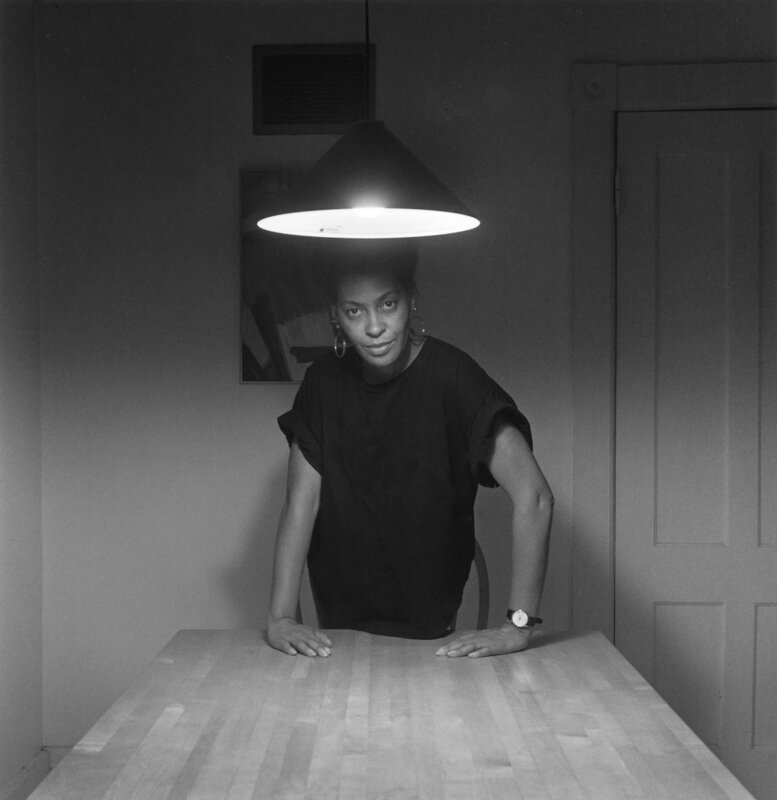 All images ©Carrie Mae Weems. Courtesy of the artist and Jack Shainman Gallery, New York. Looking at pictures of women, as seen pulled back toward my eye, I see myself withthem. I can’t help it. I parse their bodies, the forms. Not my own and yet familiar. When I’m in front of the camera, my body is being looked at, is being performed, is being directed and recorded. It is being taken apart and pieced back together. We repeat and repeat, the same scene, against the same wall, with the same lights. We write the body on a piece of film. Film that’s been pushed and prodded, mishandled and flipped. At a certain point I had to accept a bodily experience. It was pleasurable to look at their rough unpolished states, the bodies simply are: flipping, posing, being coy, arms as arrows, feet as poles, the lens as lover and mirror, the lens always looking back and being looked at, not by the face, but by the breasts, buttocks, heels, toes, shins, spines and throats, unhurried and happy to give that which can’t be taken. Before man discovered fire, lighting was natures tool to start fires and it did, often igniting flames that would create wildland fires to clear and renew the land creating a clean slate of sorts for fresh, new growth. Today fire and flame are largely viewed as a danger to civilization, something to be extinguished or at least extensively controlled. My ultimate interest lies away from the front line, not in the tragedy and the newsworthy event but back inside the fire line where smoke and blackened earth transform the way one is able to see the land before them. I look at the land and how it accommodates the forces that influence and try to hinder it. One is able to see the temporary influence of fire emerging and then disappearing, sometimes as quickly as it came but what evidence is left in the wake? 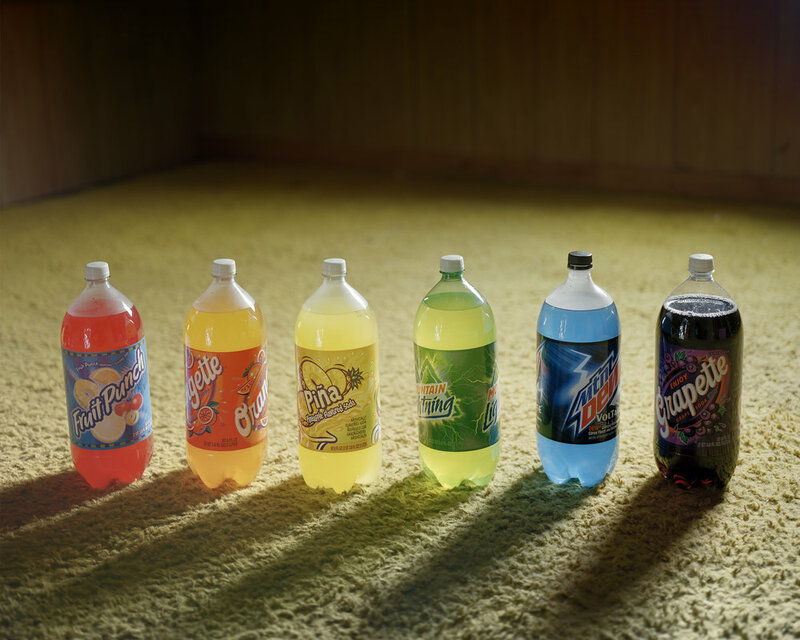 Color Studies is an ongoing project in which I explore the very basic ideals of photography: light and time. Much like the minimalist painters of the late 1960’s and early 1970’s, as well as the theories of Johannes Itten, my intention with this work lies in reducing the medium to its simplest elements. The struggle of photography as a naturally subjective medium—being based upon historical record and medical reference—often times causes me a great deal of frustration. By eliminating subject and creating works without using the camera, I question here what is a photograph. 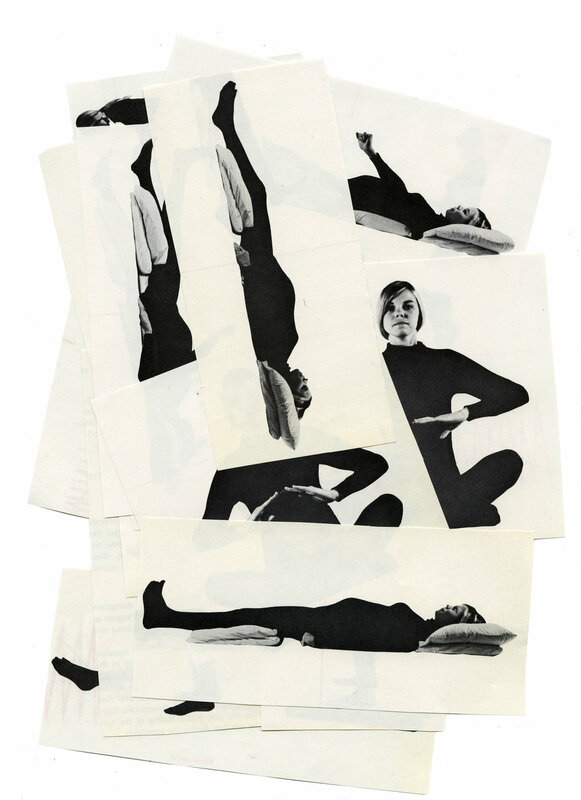 Furthermore, because of the darkroom process each piece is unique and unable to be duplicated, arguing against the perception that a photograph is readily made and effortlessly reproduced. Stephanie Jane Halmos was born and raised in Fort Lauderdale, FL. Her artistic interests began in the field of film photography, and have since become interdisciplinary through her work in abstraction as well as performance and video. After receiving her Bachelor of Fine Art from Miami University, she moved to New York and began showing work while assisting commercial and fine artists. 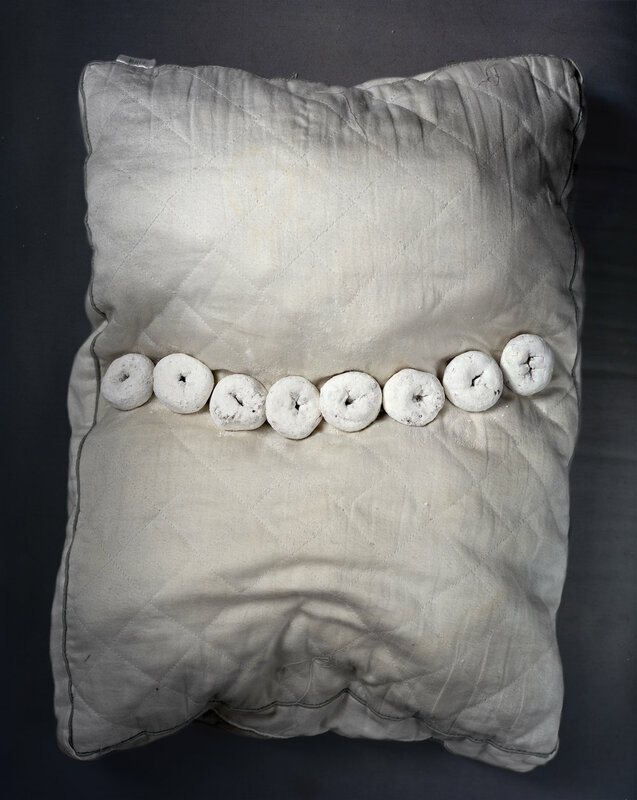 Her work has been exhibited around the country including Homesick at the Carnegie Museum of Art (Oxnard, CA), Hemispheres at the Lana Santorelli Gallery (New York, NY), The Magnificent Seven at the Wattis Institute of Art (San Francisco, CA) Strange Beauty at The Center for Fine Art Photography (Denver, CO) and most recently the publication and exhibition for The Collector’s Guide to New Art Photography at the Chelsea Art Museum (New York, NY), among many others. Oraib Toukan’s Painless May, June cut to the heart (2011) is an ongoing project that re-presents photographs depicting a couple’s travels throughout various locations in Europe from 1967 to 1970. The selected images, a collection of amateur Kodak snapshots belonging to Toukan’s family, situate the viewer in seemingly apolitical scenes of repose. The paradox of the situation manifests itself in the observation of dates printed on the images’ borders and the recognizable tourist locations that correspond to the period of rioting across Europe during the late 1960s. Painless May, June cut to the heart, whose title is taken from the opening scene of Jean-Luc Godard’s Le Petit Soldat (1960), occupies both a purposeful and mundane space that unfolds in the sequencing of the main characters. Through the reproduction and reassembly of the collection, Toukan draws attention to the dates by allowing them to serve as signifiers for the viewer, weighting the images in a specific historical framework. Her interest in presenting the repetitive act of picture-taking at the convergence of insurrectionary and touristic moments draws back an invisible curtain to reveal issues of mobility, class, and ideology. 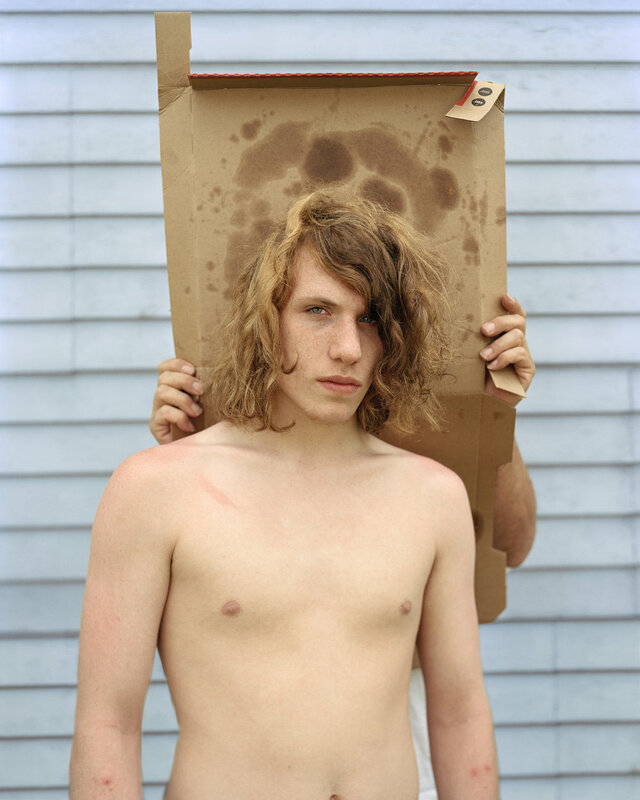 All images are Untitled from the series Painless May, June cut to the heart(2011). The work takes its name from 19th century tableaux vivants, which staged living scenes suspended in time. But rather than freezing life into image, I pursue the impossibility of unfrozen life. Through collaborations with scientists, ecologists, growers, and other naturalists, I bring studio setups into the living environment. 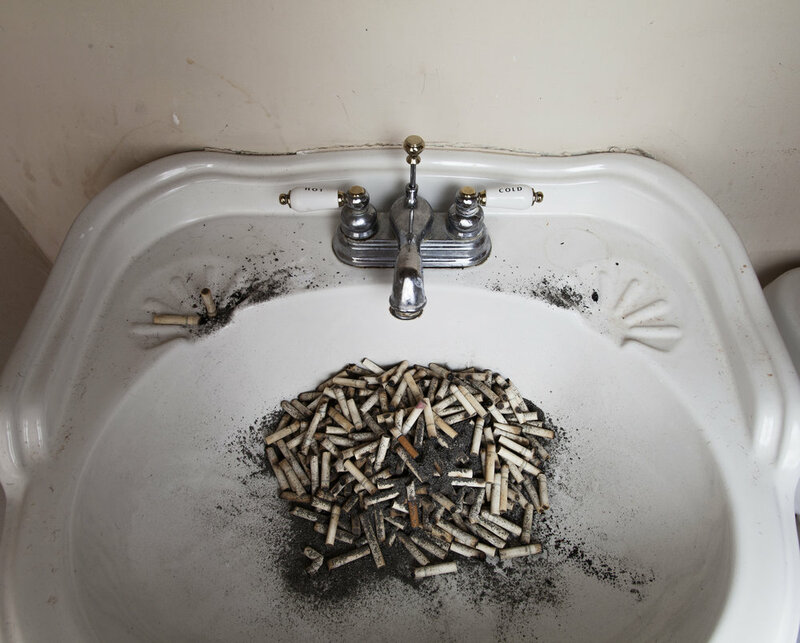 I engage the near absurdity of this process, and confront, through photographs, both ineffable subject and my own agency. Referencing the contact-printed albums of Anna Atkins and illustrations of John James Audubon, this work originated with plant life and horticulture motifs, and grew to encompass birds, river systems, and landscapes. I employ techniques of still life, genre drawing, sculpture, stroboscopic photography, and Land art, and reveal the analogic fingerprints of my interventions, visible accessories, imperfections, and light leaks. I am particularly moved by the asymmetric relationship the photographs bear to their subjects: the subjects don’t reciprocate, and might rather avoid, the interest of the photographer. The pictures address the viewer’s desire for presence, experience, knowledge, and mastery over his environment, along with the limits of representation, and the subject itself, in fulfilling this desire. As A Real House, a series which has been evolving over several years, examines dark corners of remembrance, identity, and invention. Exploring my futile attempt to study time by stopping it mid-decay, I look at the medium of photography and my own desire through a prism, breaking each apart into their elements. This work traces my search for the possible and impossible within photography, my desire to understand how ideas and memories are trapped inside, like fossils in rock. Investigating constructions, still lives and found objects, I hope to reveal the vulnerability of both subject and medium, exposing all bodies as written texts, and to catalog photography’s viscera through intentionality and accident, drawing its hushed footsteps along the boundary of the real and the invented, the immediate and the hidden, the desirable and the grotesque. The series comprises various explorations of image-making and multiple genres – within this, the images range from the seemingly straight to the experimental. The possible disjointedness of these studies is purposeful: it is my hope that the viewer question the connections and possible contradictions within the body of work as I present it. As A Real House asks questions but does not necessarily provide answers. The work itself is rooted in metaphor, meant to be interrogated, as one would read a poem. Herein, one can view desires both personal and universal, as well as uncertainties and doubts about femininity and identity. I recently rekindled my romance with heavy metal during a three-year period where my home and professional lives existed in two separate cities. The weekly three and a half hour drive between the two was torturous. I was divided between two priorities, my career and my relationship. Metal provided refuge for my angst and frustration; it can make time pass for me like no other kind of music. Through that filter of distress and restlessness, I connected with the North Carolina and Virginia landscape I was passing through. I saw in it an energy similar to my own. Engaging in a longstanding conversation between visual art and music, the photographs in On Longing, Distance and Heavy Metal, represent that energy. 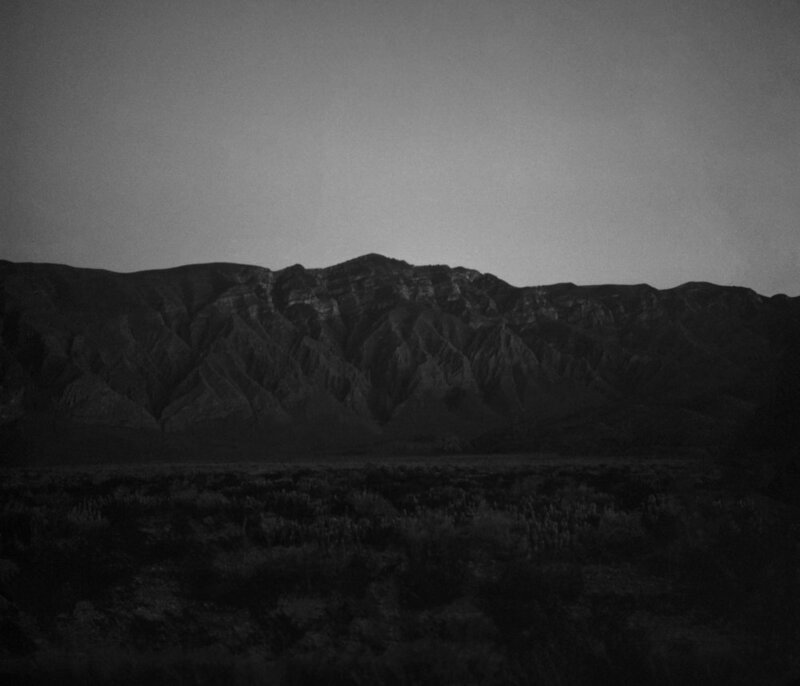 Made at dawn and dusk with a large format view camera, the photographs are complex and dissonant, sometimes barren, sometimes lovely, and densely layered like both heavy metal and my internal state. I have drawn upon the history of landscape photography to project my psychological condition onto the natural world. My goal is to evoke in the viewer a response to the work that is equivalent to the response I had to my surroundings. My favorite metal takes the listener on a journey. The progression of sound is not necessarily predictable, it builds on a solid foundation, and layers instruments, voices and energy. It is complicated, often unbalanced, dense, and shares a story. A dedicated listener is enveloped by the sound, temporarily held inside the tangled web it creates. As I drive through the landscape of Virginia and North Carolina, I look for photographs that will hold the viewer in that same space. The interaction between man and nature has a long history in Finland. With a population of 130,974, Jyväskylä is the capital of Central Finland and the largest city in the Finnish Lakeland, an area of more than 188,000 lakes. Situated on the northern coast of Lake Päijänne and 270 kms north of Helsinki, the city has been continuously one of the most rapidly growing cities in Finland since World War II and is surrounded by lakes, hills and forests. My aim with the project Järvenjää/Lakeice was to explore interrelations between people and their immediate environment; allowing the viewer to reflect on diverse uses of natural landscapes within the city. To achieve this work I spent every day walking and travelling by local bus around Jyväskylä to the many lakes in and around the city. Initially, I’m working like a street photographer – nothing is predetermined; the series is built up by spending time out there experiencing changes in the weather and responding to what I see and the people I meet. Later I spent time with the groups of ice swimmers who meet several times a week to relax, take a sauna and swim in a hole in the ice. Sometimes in blizzard conditions and always in sub-zero temperatures, this often meant wading knee deep in snow across frozen lakes to reach my chosen destination. I was fascinated with how the frozen lakes had transformed the city and they had become a temporary urban park with its specially constructed ice skating track with other more random paths carved out by ski-ers, dog walkers and pedestrians making short cuts from the houses on the otherside of the city. The division between the land and water had disappeared. Järvenjää/Lakeice is part of the Chrysalis Arts’ Connections North international residency exchange programme and is supported by Arts Council England. 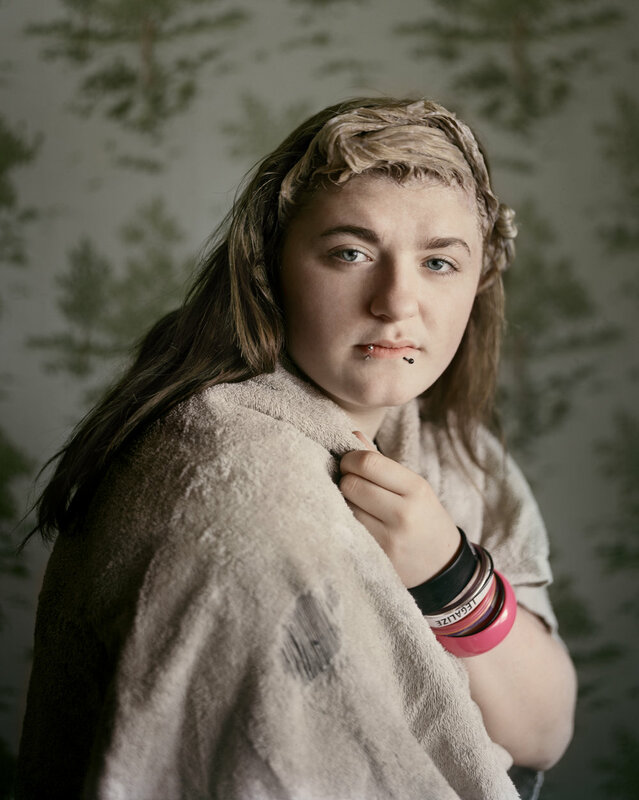 Since graduating from West Surrey College of Art and Design in 1988, Tessa Bunney has worked as a documentary photographer undertaking personal projects and editorial photography as well as a wide range of commissions and residencies nationally and internationally. She has a particular interest in different landscapes and the way they are shaped by human activity. Working closely with communities and individuals, Bunneys work explores people’s relationship to the environment. Her project Home Work was published by Dewi Lewis in 2010 and was exhibited and published nationally and internationally including the Land exhibition as part of the Noorderlicht Festival, 2010. Bunney is currently based in Vientiane, Lao PDR while working on an ongoing project Field, Forest and Family for which she has received a Grant for the Arts Award from Arts Council England. She is also undertaking freelance work for NGOs. Her series The Women of UCT6 which documents an all female UXO clearance team in Laos was recently published in the Financial Times Magazine (UK) and was also shown online along with the photo film To Serve a Nation, a collaboration with an audio producer. This work, As if it should have been a quarry, named for a phrase from the American poet Robert Frost’s 1954 poem “Directive”, was shot between 2011-2013 in Iceland—a country in the middle of the Atlantic ocean positioned directly above a continental divide, making it the site of frequent seismic and volcanic activity. In January of 1973 a volcano erupted without warning in the small town of Heimaey in the Westman Islands just off the south coast. This work is inspired by the story of the inhabitants of the town that dug themselves out of the ash and stopped the flow of lava from destroying their harbor. Despite the mayhem caused by the eruption, they were determined to stay. Now, forty years later, while many homes have been recuperated and reoccupied, abandoned excavations hold the remains of the houses that proved unsalvageable. The excavations exist as a unique scenario in which during one individual’s own lifetime his or her own archaeological history is being explored—a chance to literally witness one’s own stories coming out of the ground, the survivors living to confront them in person. As a gesture towards reversing the process of unearthing the tales buried beneath the land’s surface, I sought to create a new narrative with the earth by using natural clay from regions around the country with particularly high volcanic or seismic activity and implementing it to bear witness to the visage of icelanders young and old through imprints mirroring those of light. Natural disasters like these are becoming more and more commonplace in our changing global environment, and it seems all too relevant to notice how the contemporary relationship between human beings and the land they live on can be desperately fragile and tenuous as it once may have been centuries and centuries ago. This body of work seeks to investigate the way in which one reconciles one’s own impermanence through living with a continuity that suggests the infinite, and how a piece of land can be a reflection of one’s countenance and vice versa, like maps in conversational flux with one another. For me, considering the passage of time in its relation to both physical and emotional space is to allow for an innate metaphysical inquiry to be explored—that of our own vulnerability and survival as possibly found in the landscapes that grow us into being. The Garden is a contemporary photographic tale that uses Tivoli Gardens an old amusement park in the middle of Copenhagen Denmark as an allegory. Here people of all different nationalities and ethnicities meet in a world of fantasy. An imaginary Orient with fake palaces and minarets is the backdrop of the place. It’s a surreal world, yet it mirrors the dreams and fears of life outside the entrance. Brezhnev’s Daughters, is what women call themselves in Dneprodzerzhinsk, Ukraine, the birthplace of Leonid Brezhnev and the industrial heartland of Ukraine. The women say that they are Brezhnev’s children because they have inherited the failed stagnant policies from the Soviet times. Dneprodzerzhinsk, Ukraine is in the heart of Ukraine’s mining and manufacturing production. In these parts many women make their living as factory workers and welders. Yet their pay is never sufficient to support their families. Many must take on extra work at night some as strippers and pole dancers. This dual life style offers economic opportunity. Their sexuality is their strength and they use it as a form of emancipation. Brezhnev’s Daughters is a series of portraits of these women in industrial south who have managed to navigate between two extreme professions and support their families. 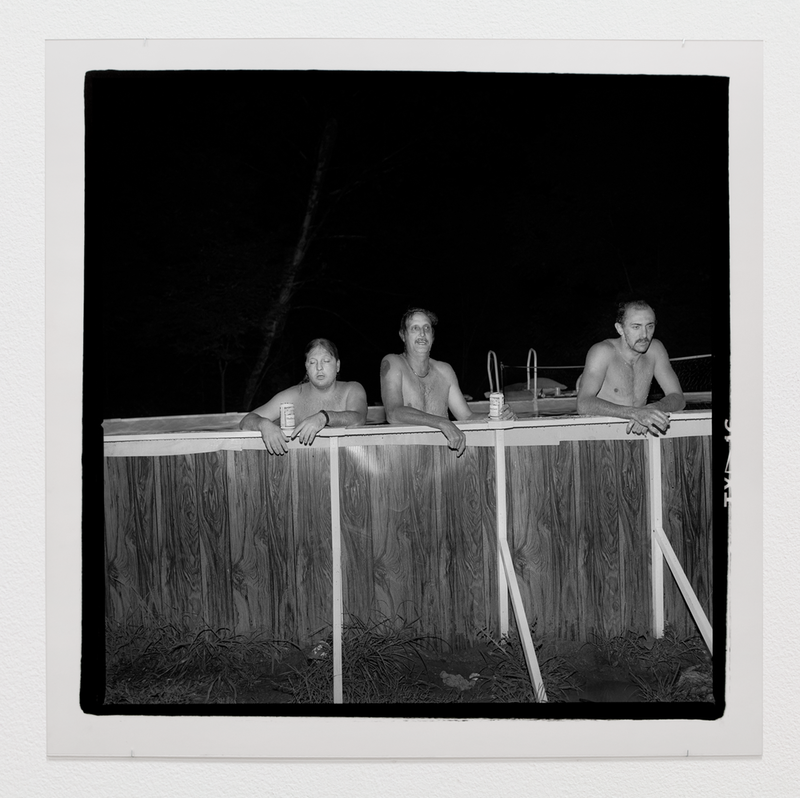 These photographs are made with an 8×10 camera and printed on Silver-Gelatin Paper. Four and a half years ago, the summer before I left for college, my father died from cancer. While home I witnessed each member of my family dealing with this loss differently. Going away to school that fall I missed much of the transition period and instead came home each break to find something new—fresh wallpaper, different furniture, a new car. My mother had found ways to come to terms with her new life alone in our house by transforming it into a new space. The farm outside had been altered too, different from how I left it. Some familiar things remained, untouched by the chaos, but it was uncertain how long they would remain. Home still felt like home, but there was always this fear that even that might change. This work serves both as a memorial for my father and as a letter to him. All images are Untitled from the book Since We’ve Spoken (2011).